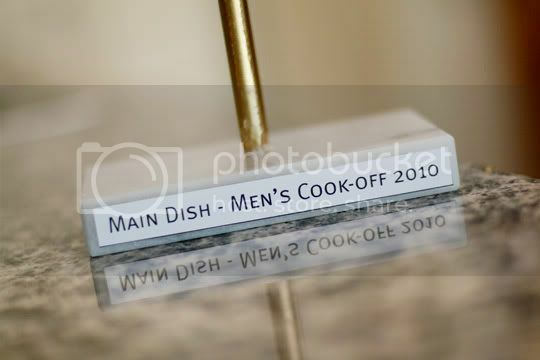 So last weekend was the "Men's Cookoff" in our ward. Each man had to make a dish: appetizer, salad, main, or dessert, and all the women in the ward vote for the best in each category. Ben has literally cooked twice our whole marriage... both dishes (the same recipe) didn't turn out so well, ending with the massive amount of leftovers having to be thrown out a week later because they weren't touched again. I love you for trying Ben. Looks easy enough right? Well, while Ben was slicing the ham (feeling hot and mighty in the kitchen), he decided to slice some of the ham fat really small and put it in to add flavor. I got upset and told him to remember that WOMEN will be judging, not men and that he should follow the recipe. He also wanted to put the giant ham bone in the crock pot for 8 hours, because it would again, "add flavor." Whatever. I just knew it would be a disaster. After 8 hours of cooking in the crock pot, Ben realized "I forgot to add the flour!" And threw some in there last minute. Great. This is going to be embarrassing. We get there and there is such a huge turnout. TONS of food! They asked me to be in charge of tasting all the desserts... HOW LUCKY AM I? Best assignment I've ever had--"please go stuff your face with 30 different desserts and tell us which is best." OKAY! There were so many amazing dishes, I was really impressed. The main meals Ben was up against were things like a BBQ pork sandwich, Taco Soup, and tons of different beef dishes. At the end of the night, after everyone has eaten and the votes have been cast by the women, they start announcing the winners. 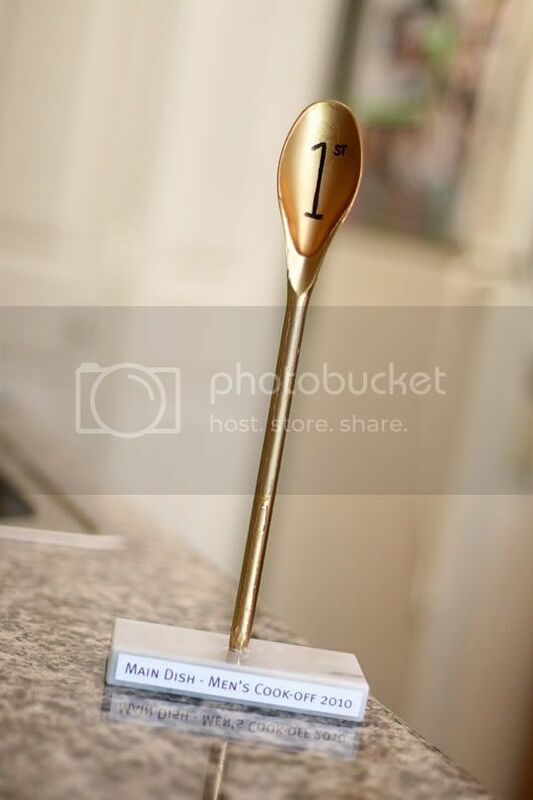 And guess who won the "Best MAIN DISH!" That's right. I'm sorry Ben that I wasn't more supportive (I didn't even try it that night). Shame on me. You are an amazing cook and I'm so proud of you. P.S. The dish really is amazing, super easy, and super cheap. Go try it! that is so funny... jord is a way better cook than me. its really sad. but hey, if he is willing, i will take him up on it ;) way to go ben! i've made that before (at least something very similar) and it is scrumptious! Ben, very well done! It was the extra love you put into it that won you the prize. Ha! That cracks me up! The only thing Jeff has made since we've been married is a bowl or cereal:) I think he would be a goner for sure! What a good idea for a ward activity though! Sounds fun!